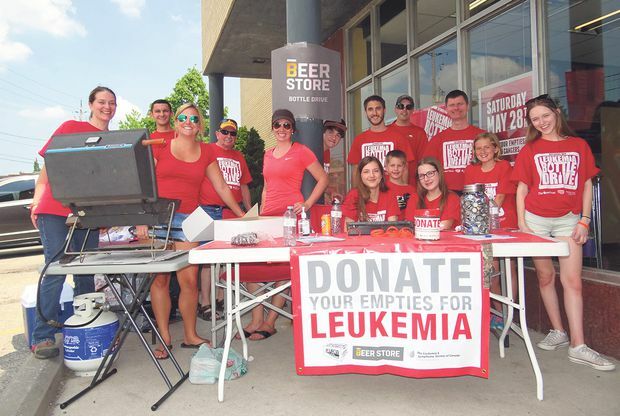 The Beer Store and Local 12R24 employees and friends collecting empties to raise funds for the Leukemia and Lymphoma Society of Canada on Wyandotte Street in Windsor. It started with a bottle drive over a decade ago and evolved into a year-round engagement that, in recent years, nets, on average, $1.8-million annually to support the fight against blood cancers. This collective effort brings together The Beer Store’s leadership, employees and customers as well as a number of valued partners, says Ted Moroz, president of The Beer Store. Inspired to participate? Customers of The Beer Store can donate the proceeds of their empties to the LLSC all year round. This content was produced by Randall Anthony Communications. The Globe’s editorial department was not involved.